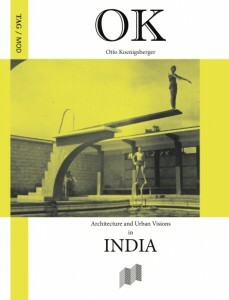 We are very pleased to announce the release of the book “OK – Otto Koenigsberger: Architecture and Urban Visions in INDIA“. Shipping is uninsured. Please ask for insured shipping: write an e-mail to ok@mod.org.in. You can also get a copy of the book at the lovely bookstore Pro qm in Berlin. Check it out please!